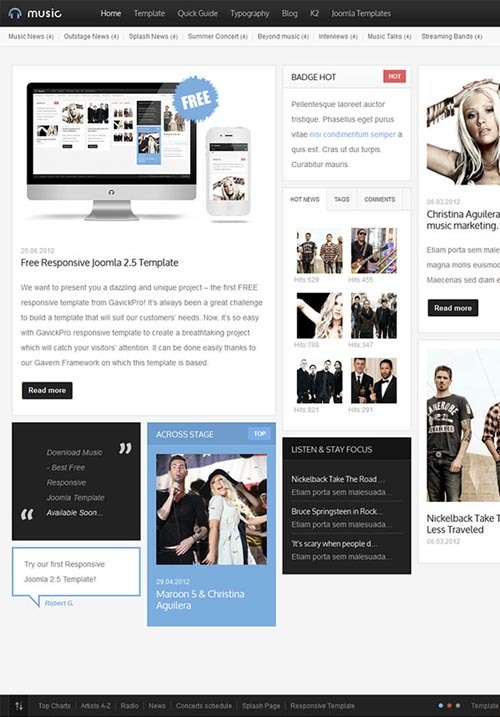 Music Free – Make your own music website with this responsive free Joomla 2.5 & 3 template. FREE responsive template from GavickPro! At no cost, with this template make your own music website that will catch your visitors’ attention. Thanks to the Gavern Framework upon which this template is based, the specifications of Responsive Web Design have been implemented. GavickPro responsive templates ensure your site content displays beautifully and intuitively on all Web-browsing devices!